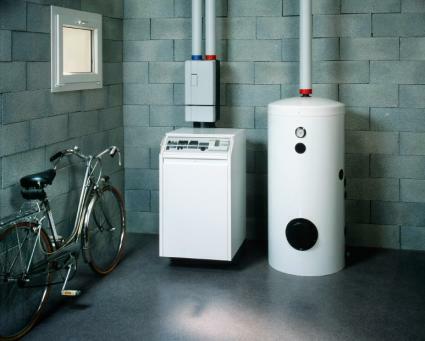 Hydronic and steam boilers are used by many people to heat their homes. Boilers require proper annual maintenance to ensure that they will continue to function the way they should. Failing to maintain your boiler could result in a loss of heat, or in major repair bills. Learn what types of maintenance you should be performing - and which ones you should be calling on your local technician to provide. One of the reasons your boiler may not be maintaining proper temperatures could be due to some missing insulation. The water pipes entering and exiting your boiler need to be insulated to help your boiler keep its temperature up. Take a look at your pipes annually and look for any areas where the insulation may have come loose or fallen away. Replace any missing insulation to help your boiler keep running at optimum temperatures. Boilers circulate hot water or steam through pipes and radiators to help warm your home. If your boiler becomes air bound, or gets air trapped in the pipes, it will have to work harder to circulate the heat. You may also find the heat doesn't reach its destinations or that your boiler or pipes are making a lot of noise. It's a good idea to regularly purge the air from your system to prevent your boiler from becoming air bound. Turn off your boiler at the service switch. Connect a hose to the boiler drain and run the end of the hose outside. Open the water feeder bypass or override valve located on the water-feeder pressure-reducer. Close the water feeder bypass and immediately close the boiler drain valve. Disconnect the hose. Set the cold water pressure for your boiler on the automatic water feeder. Turn on the boiler and turn on your heat so it will instruct the boiler to turn on. There are two times when you should consider adding anti-freeze to your boiler as part of your home maintenance system: if you live in a climate where temperatures regularly go well below freezing and your pipes are at risk for freezing, and if you are leaving your home and boiler unattended for any length of time. Placing anti-freeze in the boiler will help prevent the water in your pipes from freezing and causing extensive damage to your heating system. Keep in mind that you need to use the type of anti-freeze sold at your heater supply store. It contains propylene glycol, which is non-toxic. The anti-freeze is added to your boiler by means of a special pump known as a pony pump. The pump is connected by a washer hose to a zone drain on your boiler. A second hose comes off the pump into a bucket of anti-freeze, or a mixture of anti-freeze and water depending upon your particular pump. The pump pulls the anti-freeze from the bucket and forces it into your system until the gauge reads that there is adequate anti-freeze to prevent your pipes from freezing. Many boilers, particularly those powered by oil, need to be cleaned annually. Failure to clean your boiler can result in as much as a 30 percent decrease in efficiency. Most boilers need to be cleaned by a reputable technician; call and have your boiler cleaned and inspected annually to ensure it stays in good working order. Every boiler is different, and the location of your valves and the amount of water, anti-freeze or air might be different as well. Always consult your boiler's manual and see what recommended maintenance may be required as well. Regularly cleaning, inspecting and servicing your boiler will help ensure it keeps working as long as you need it to. Maintain your boiler in good condition to help avoid having to make an expensive emergency service call.